As a successful academician, Rajen flourished further in his profession to become a lecturer of English at the Janata Multiple Campus, Itahari, Nepal. Meanwhile, he also started training prospective Jaycees leaders as a certified trainer of Junior Chamber International (Jaycees). Rajen joined the Lions Club of Itahari, Sunsari in 1996 and became the club president, continuing to serve in the roles of zone and region chair later. 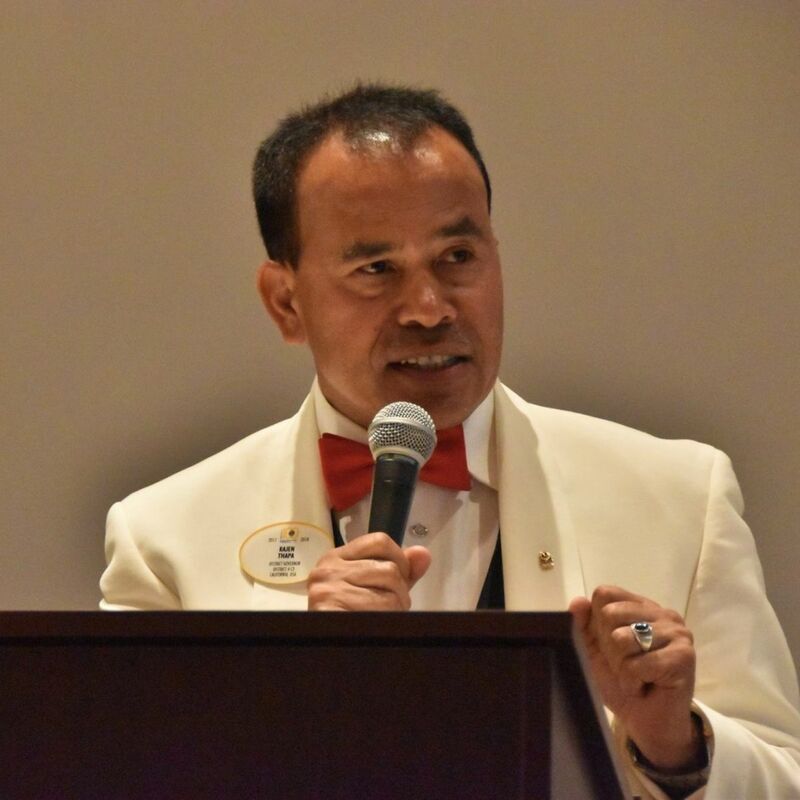 After moving to the United States, Rajen entered into restaurant business along with his affiliation to the Lions Club as the Charter President of Lions Club of Berkeley Annapurna. Today he has equally thrived in his business as the co-owner of four restaurants in the Bay Area. Rajen resides in El Cerrito with his wife, Bijaya and their two children (Priyanka and Pratik). Pioneering to open five Nepalese Lions Clubs in the District 4C-3 and 4C-4 , one in Virginia and two in New York City.